There was some good news coming out of Washington D.C. over the past few weeks regarding rehab work on the LaGrange lock and dam. Two Congressmen from central Illinois in Darin LaHood of Illinois’ 18th District and Rodney Davis of the 13th District, have been working on securing funding for this work to be done. The LaGrange lock and dam plays a major role in helping farmers and producers in west central Illinois get their crops to markets along the Illinois and Mississippi Rivers. Congressman LaHood says he was very pleased to hear the news that more than $50 million dollars has been allocated for this project. “We were very pleased that the Trump administration made that announcement that $57 million will be spent on the rehabilitation work on the LaGrange Lock, just south of Beardstown. This is something that I have worked on in my three years in Congress, I’ve continued to have meetings with the administration, I’ve talked to the President himself about it. 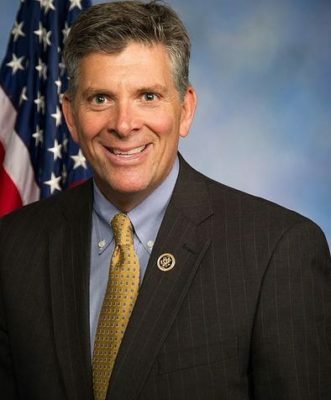 This is real money that’s appropriated that will be spent by the U.S. Army Corps of Engineers, and I can’t emphasize enough the importance of upgrading our locks and dams up and down the Mississippi River, and it starts with LaGrange,” says LaHood. Congressman LaHood says LaGrange provides a solid example what needs to be done all throughout the United States. “LaGrange is the poster child in the country for what we need to do to upgrade our in-land water navigation systems. Sixty percent of the grain that’s produced in the country goes down the Illinois and Mississippi River, and so, when we look at having an in-land water system that gets our corn and soybean to market, we have to have a good infrastructure system. This is a huge opportunity to upgrade LaGrange and get it back to where we need to have it. So I worked with my colleague, Congressman Rodney Davis, who represents the district next to me and is on the ag committee, and our hard work paid off. I can’t thank the Trump administration enough, and this will be money well-spent for agriculture and for central and west central Illinois,” LaHood says. The LaGrange Lock is the southernmost lock on the Illinois River and accommodates a heavy amount of barge traffic, the majority of which includes agricultural commodities. It was placed into service in 1939 and currently requires major rehabilitation of concrete, electrical, and mechanical systems. The lock last underwent major rehabilitation work in 1988. More than 60 percent of all U.S. grain exports move through locks on the Upper Mississippi and Illinois Rivers including LaGrange, but due to their age, reliability has become a significant issue in recent years.